Last Update: January 2019. 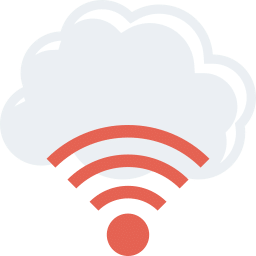 We have added another 5 additional products on this page, including some of the latest 2019 models. We also clarified some of the details regarding the review of the New Balance Men's NBG2004. Our pick remains the Skechers Performance Men's Go Golf Elite 2. When talking about golf equipment, we often focus on clubs, balls or even clothes while forgetting the importance of golf shoes. Yet, a good pair of golf shoes is important to provide a good foundation for your swing. 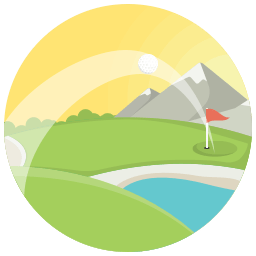 Golf involves a lot of walking, and we can encounter different terrains and even climate conditions in a single round of golf. So, a comfortable pair will also be important to ensure a great game. Our 2019 men's shoe guide contains a lot of options to improve how comfortable you feel on the golf course, and could even help you improve your golf swing. We will review primarily the best men's golf shoes in 2019 but keep in mind most these golf shoe models are also available for women. What are the main qualities the best golf shoes should have? What are the advantages of spiked shoes VS spikeless shoes? Should I choose spikeless shoes? Should I worry about walking a long distance with these golf shoes? Should I own multiple pairs of golf shoes depending on weather conditions or the golf course I am playing on? How often should I change my golf shoes? ​What materials are best for golf shoes? 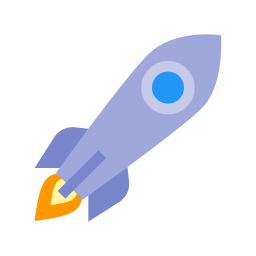 ​What's your product recommendations for beginners, mid-level and advanced players? Here, we will recommend five pairs of golf shoes, along with the in-depth reviews for each of them. 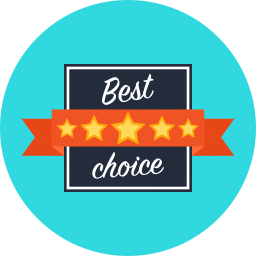 We chose these products based on our market research in testing countless different pairs, and we based our choices on the factors and criteria we have mentioned in the questions and answers section above. Please note that the products we have reviewed below are exclusively men's golf shoes. Similar models for women do exist and hold the vast majority of the features presented below. Although not as advanced as the New Balance 2004 golf shoe, the 1701 from the company does pack a punch for the mid-level golfer looking to upgrade their golf shoe. With easy to change cleats and a waterproof exterior, the 1701 model is ideal for players who like to log a lot of rounds each week and want a golf shoe that can handle the task. But where does the 1701 golf shoe shine? There are several features in need of highlighting on the 1701, but we’ve picked out four areas worth noting for this review. The New Balance 1701 golf shoe may look like a straightforward shoe, but once you break it down, the 1701 is anything but simple. With features that start with a high-level waterproof exterior and round out with a long-lasting rubber outsole featuring an excellent spike system, the 1701 is another winner from New Balance. Here’s a breakdown of the 1701’s best features. New Balance’s patented rubber outsole, known as Ndurance, keeps the foot protected and integrates well with the advanced spike system. With the sturdy rubber outsole, the 1701 has one of the larger sole areas on a golf shoe. As a result, golfers can feel that padded comfort and stability that is a prime feature of the New Balance 1701 golf shoe. The EVA foam midsole is all about increasing the arch support of the 1701 so that the golfer will feel the comfort on each step during their round. Keeping the feet fresh throughout a round is a vital feature for the golf shoe. The cushioned EVA foam midsole is soft enough to take it easy on your feet but sturdy enough to provide the strength to keep your feet strong throughout the golf swing. New Balance has also taken the necessary steps to keep the golfer’s feet dry regardless of what type of wet conditions you may encounter on the golf course. The 1701 has a water-resistant upper outsole that keeps that water out of the inside of the golf shoe. Coupled with the padded tongue locking the top of the shoe, the waterproof exterior on the 1701 is a great feature that is essential for any golfer looking to upgrade their golf shoe. What works extremely well on the 1701 is the Champ Slim-Lok cleat system. Most manufacturers will create a shoe with little thought to the quality of the cleats. What New Balance has done with the 1701 is place emphasis on giving the shoe a high-performing cleat system that wears well. Once it is worn down, replacing the cleat is simple and easy and accomplished with a quick twist. The Slim-Lok system is reason enough to buy the 1701. The easy to replace when worn out, Slim-Lok cleat system keeps the golfer grounded in any condition. Perfect for the mid-handicapper looking for a heavy-duty golf shoe, the New Balance 1701 provides affordable comfort and high-level traction. Featuring an advance Slim-Lok cleat system, the 1701 will stay fresh with quick and easy spike change on the fly. For a high-performing golf shoe that won’t let you down, the The New Balance Golf 1701 golf shoe is a hole-in-one. A stylish and trendy golf shoe that also earns high marks for its features and playability is the Adidas Adipower S Boost 3. With contrasting colors and a style that you would typically find on a basketball shoe, the Adipower S Boost 3 provides high-performance for any level of golfer looking to add a sharp edge to their attire and their game. But enough about how the Adipower S Boost 3 looks as the real question is: How do they play? Well, we’re happy to report that the shoe is extremely well built and so comfortable you’ll swear you are playing the course in running shoes. Here are a few of the best features of the Adidas Adipower S Boost 3. So, we know that the Adipower S Boost 3 is an eye-catcher with the combination of color and shape, but there’s more than meets the eye with this top-flight golf shoe. From terrific waterproof protection to structural enhancements that provide exceptional comfort, the Adidas Adipower S Boost 3 is one of the best and most affordable golf shoes on the market today. Adidas’ patented waterproofing technology is the Climastorm system. On the Adipower S Boost 3 shoes, Adidas has made sure that the exterior of the shoe utilizes the Climastorm protection to keep the water away from your feet for a dry round every time. The coating of the Climastorm technology will guarantee that the Adipower S Boost 3 shoes have a long shelf life that will provide rounds of comfort. Golf shoes are also an essential part in transferring weight during the golf swing. Adidas has installed Energy Sling technology on the Adipower S Boost 3 to help increase the transfer of power from one leg to the next. The responsive cushioning on the shoes, known as Boost, allows the energy to easily transfer from the back to the front foot to help maximize your distance. Adidas has also added a layer of bounce foam in the front of the shoe to aid in the response and increase power. Another hidden but essential feature of the Adipower S Boost 3 shoe is a rounded toe that gives more space for the foot to expand during shifting. This increase in stability is also aided by Adidas’ EVA midsole layer that helps reduce friction during movement. All of this additional room in the toe of the shoe helps with increasing power behind the golf ball as the body moves through the swing. The soft yet sturdy Puremotion outsole on the Adipower S Boost 3 keeps the golfer connected to the ground throughout the golf swing by utilizing its’ unique waffle sole. Stability and grip is never an issue with the Puremotion outsole although more traditional golfers who like a flared spike might be disappointed by the Adipower S Boost 3’s waffle sole. For golfers of all levels looking for a shoe that is comfortable but has elements of high-performance athletic footwear, then the Adidas Adipower S Boost 3 brings the goods. From a flexible waffle sole that keeps the golfer secure no matter how hard they swing to a waterproof exterior that does an excellent job preventing water from getting to your feet, the Adipower S Boost 3 is a terrific all-around shoe. 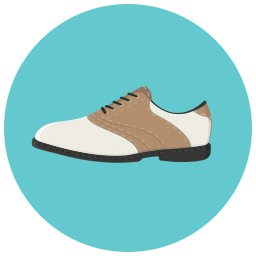 Lightweight golf shoes are a terrific option for golfers who enjoy walking their weekly round or prefer not to be weighed down by more traditional golfing footwear. The Adidas 360 Traxion takes the lightweight golf shoe up a notch by covering the outer layer in exceptional Climastorm waterproofing and using high-quality material to make the shoe extremely durable. So what sets the Adidas 360 Traxion apart from other elite-level golf shoes? Here’s a breakdown of the features that make the 360 Traxion a shoe that belongs on your shopping list. The Adidas 360 Traxion is an exceptional golf shoe that is packed with features that are very useful on the golf course. What most golfers want from their golf shoe is comfort and stability through the swing. There is nothing worse than feeling a slight slip from your foundation as you swing through the golf ball. Well, you’ll be happy to hear that despite lacking flared spikes, the Adidas 360 Traxion won’t have you slipping on the tee box. Here are a few of the highlighted features that make the Adidas 360 Traxion golf shoe one of the best around. The waterproofing feature on the Adidas 360 Traxion is fantastic. The Climastorm technology by Adidas is used on most of their golf shoes, and it provides a barrier to your feet that will keep out water for a dry round every time. This layer doesn’t mean that your feet will be clamped down in a box, the Climastorm is breathable so you shouldn’t worry about having a shoe filled with sweat on hot days. Adidas’ Bounce midsole on the Adidas 360 Traxion is a lifesaver because it helps with the stability of the shoe as well as provides extraordinary support to the arch. If you are walking a round in old shoes with little support, then you can expect to experience pain throughout the foot. But a feature like the Bounce midsole will eliminate those issues for a worry-free round. 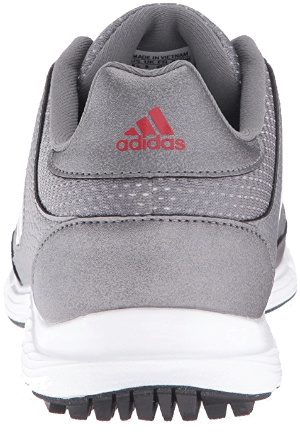 The Adidas 360 Traxion has a strong upper layer that is made from microfiber giving the inside of the shoe protection as well as breathability. What’s great about the top layer of the Adidas 360 Traxion is how flexible it is with each stride. There’s very little break-in time with this shoe as it feels ready to go the moment you take it from the box. Perhaps the best feature on the Adidas 360 Traxion is the Puremotion spikeless outsole. Durable and high-performing, the outsole promotes stability, grip, and balance regardless of the turf you are standing on. Having to play a tilted lie? The Puremotion will keep you grounded and smooth throughout the swing. 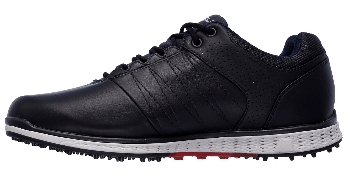 One of the lightest golf shoes on the market also is swimming in exceptional features as the Adidas 360 Traxion golf shoe is ideal for low-handicappers but provides excellent value for golfers of all skill levels. With high-performing waterproof protection and a classic look in several colors, the Adidas 360 Traxion golf shoe is also great for older golfers looking for a traditional golf shoe that takes advantage of the latest technologies. Whatever age or skill level you are, the Adidas 360 Traxion model is a golf shoe worthy of your attention. Ready to wear from the moment you take them from the box, the Skechers Go Golf Elite 3 golf shoe is so comfortable you’ll swear you’re wearing an old pair of your favorite athletic shoe. Lightweight and designed for a pleasant walk around the course, the Skechers Go Golf Elite 3 is one of the more stylish and attractive shoes you’ll find in your local golf footwear section. So what makes them stand above the rest? From affordability to multiple robust features, the Skechers Go Golf Elite 3 shoe has many reasons why it deserves your attention. Here are some of the best features we found on the Skechers Men's Go Golf Elite 3 golf shoe. There are so many things to love on the Skechers Go Golf Elite 3 golf shoe. From the low drop design that keeps more of your foot in contact with the ground to the exceptional heel lock design that promotes stability when pivoting, this golf shoe brings the goods in a very affordable package. As the official golf shoe of Colin Montgomerie, the Skechers Go Golf Elite 3 has been tested on some of the world’s best courses and passed the challenge with flying colors. 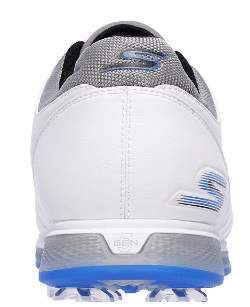 Here are some of the features that make the Skechers Go Golf Elite 3 golf shoe stand apart from others in this price range. Skechers patented waterproofing technology does very well at keeping the water away from your feet on days where the rain is falling. It also integrates well with the upper leather layer to create a shell around your feet that is breathable and won’t trap your feet with sweat on warm days. The Resamax insole on the Skechers Go Golf Elite 3 shoe provides a stable landing area for your feet as you walk the course. With the low drop design keeping your feet close to the ground, the Resamax insole makes sure to keep your feet balanced inside the shoe. 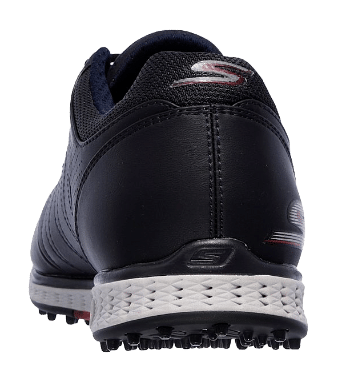 Skechers has given the Go Golf Elite 3 shoe an outsole that utilizes their TPU bottom plate for grip and stability when digging into the turf for your swing. This feature may let down golfers who feel more stable with a flared spike, but you shouldn’t worry about slipping in these shoes as they are very secure. One of the reasons that golfers love Skechers golf shoes is that they are incredibly comfortable from the moment they hit their feet. The company pulls off this trick on the Go Golf Elite 3 by using their patented 5Gen interior cushioning system. As a result, the Go Golf Elite 3 is one of the company’s most luxurious shoes providing a fantastic level of softness that will have your feet comfortable throughout a round. Available in a wide array of colors, the Skechers Go Golf Elite 3 shoe takes the Go Golf line of shoes to the next level with a stylish exterior and a host of top-notch features. For the golfer looking to boost their look on the course but also find a dependable and well-made golf shoe, then the Skechers Men's Go Golf Elite 3 shoe is a terrific option. Within the golf product market, Skechers has recently gained a reputation for building comfortable shoes that can handle the rigors of walking 18 holes in any weather condition. One of their latest creations is the Skechers Go Golf Fairway Shoe. In line with other golf-centric models by Sketchers, the Go Golf Fairway is exceptionally lightweight and a very stylish option for your feet. The areas where players rave about Skechers golf shoes is with their comfort and durability. The Go Golf Fairway shoe utilizes a spikeless sole that maintains strong traction to any surface, so you can rest assured that your balance will stay level throughout a mighty swing. Another benefit of the spikeless sole is that the shoe is less rigid for natural flexing while walking. The golfer won’t feel restricted like when wearing tough leather shoes with less elasticity. So how do the Go Golf Fairway shoes stand up in our review? Let’s start with a breakdown of the numerous features of the Skechers Go Golf Fairway shoe. Skechers specialized insole utilizes Goga Max technology to create a supple landing area for your step that is easy on the feet especially when walking the course on a warm day. The insole on the Go Golf Fairway shoe is soft enough to provide hours of comfort but also with enough rigidity to stay durable and last for many rounds. Skechers couples the Goga Max insole with their advanced 5GEN cushioning midsole to provide incredible comfort by reducing pressure on the arch of the foot. The 5GEN feature also assures that the golfer won’t suffer from nagging foot injuries that are common with tougher shoes that aren’t as flexible. The 5GEN midsole on Go Golf Fairway shoe is a feature that delivers a satisfactory walk throughout the course. The Goga Matrix outsole provides fantastic support for setting your balance on those tee shots when you need to dig in and let one rip down the fairway. The outsole is spikeless, but that doesn’t mean that the Goga Matrix outsole can’t lock your lower body into the turf to make sure you make a proper turn away from the golf ball on your backswing. Durable as well as high-performing, the Goga Matrix outsole adds value to the Go Golf Fairway shoe. One of our favorite features on the Skechers Go Golf Fairway shoe is the breathable upper layer that covers the foot. With this mesh layer surrounding the foot, golfers don’t have to worry about sweat or cold temperatures affecting their comfort level. The breathable upper layer also helps keep the shoe fresh and removes odors that can put a damper on your round. For the Go Golf Fairway shoe, the breathable layer assists in maintaining the foot in the best possible condition for every shot. 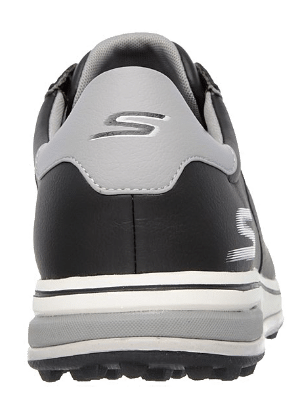 The Skechers Go Golf Fairway shoe offers a host of features that provide tremendous value to the golfer looking for a high-quality shoe that will keep their feet stable throughout the golf swing. Well within the price range for golfers looking for a shoe that can handle the wear-and-tear of repeated rounds at the course, the Skechers Go Golf Fairway shoe is a winner that will surprise and delight your feet. Skechers is, of course, one of the most prominent shoe manufacturers in the world. Not only for golf shoes but for all kinds of shoes in general. The Skechers Go Golf Pro 2 is the successor of the highly successful Go Golf Pro, designed with professionals and Tour players in mind. If you are familiar with the first edition of Go Golf Pro, you will notice that the biggest design change with this 2nd edition is the more low-profile approach. The first Go Golf Pro has a very defined, arched heel in the sole. On the Go Golf Pro 2, the heel drop is reduced almost one full inch (precisely 0.75-inches). As a result, your foot is positioned closer to the ground. Product pictures are courtesy of Skechers. The low profile design is even lower than most golf shoes available in the market. There is less declination between your heel and forefoot, which actually adds comfort and prevents tiredness. The sole of the Go Golf Pro 2 featured a new technology deemed the 5GEN, allowing the midsole to be lighter and responsive. It is designed to be shock-absorbing, so will help with hard surfaces, as well as giving you a better swing foundation. The spikes of Skechers Go Golf Pro 2 is molded plastic, and are diamond-shaped to improve traction. The spikes are concentrated on the outsole area to add more grip in tall grasses and wet surfaces, assuring your swing remains intact in most situations. There are nine soft spikes with Stealth Pin system on each pair, and are designed for full contact and quick release. Meaning, nothing other than the spikes will get clogged up with grass or dirt, as only the outsoles will make contact. Although the tongue is not a common highlight when we are talking about shoes, the tongue of Skechers Go Golf Pro 2 deserves a special mention. The tongue is well padded (and of course with Skechers' branding) and is one of, if not the best in the market. Paired with the lightweight laces, the tongue shape and thickness prevent the laces from digging in, indirectly stabilizing the laces. The Go Golf Pro 2 is relatively lightweight, weighing in at only 15.3 ounces. 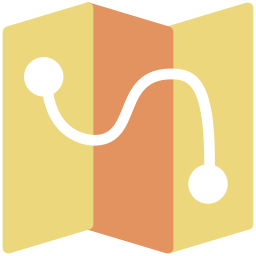 The weight will help with comfort during long distance walking as well as prolonged rounds. The tapered U-shaped throat also helps, since it gets wider deeper into the foot. Not only this unique throat shape helps with the proper fit but also helps to give your ankle more room to rotate during a swing. The insole utilized Skechers' Goga Mat technology, which as the name suggest, is designed to feel like a yoga mat. The common problem with a lot of golf shoes is that either the insole is too thick, giving your foot less room to rotate and hinders breathability, or too thin to make it uncomfortable. This Goga Mat technology allows the insole of the Go Golf Pro 2 to be medium-fit, while is cushioned enough to give you comfort. The first thing we should address about the Skechers Go Golf Pro 2 is the stylish design. It is fairly conservative regarding color choices, available in black, white, and gray. It looks (and feels) classic, and will cater to a lot of golfers' preferences. Here are what we liked and disliked from the Skechers Go Golf Pro 2. The Skechers Go Golf Pro 2 is a proper golfers' shoes. It provides you excellent comfort, great traction and stability for swing, and classic design for a sophisticated golfer's look. However, on firmer grounds, the outsole spikes might be a little uncomfortable, although it still provides decent stability and comfort. Another high-quality one by Skechers, showing their persistence in the footwear industry. In fact, Skechers is now the current #2 footwear brand in the US, known for the excellent comfort and performance on their products. As with the Go Golf Pro 2 discussed above, the Go Golf Drive 2 is the 2nd generation of Skechers' Go Golf Drive line. 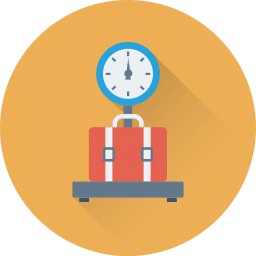 With the very similar naming of 'Go Golf Pro' and 'Go Golf Drive', you might suggest that we will see a lot of similarities between the two, and that is indeed the case. The key difference between the two is that when the Go Golf Pro 2 is a spiked shoe with molded plastic spikes, the Go Golf Drive 2 is spikeless. Design-wise, the Go Golf Drive 2 is also a little different, giving it a more casual vibe compared to the Go Golf Pro 2. However, both of them utilized the same low-profile design which makes the Go Golf Pro 2 so comfortable to wear. So, what are the other differences? Let us take a deeper look by discussing the key features of the Go Golf Drive 2. A similar technology found on the Go Golf Drive 2. Here, the Goga Mat also provides the similar medium-level cushion on the insole, bringing excellent comfort to the table. We can argue that the Goga Mat is even more effective on the Go Golf Drive 2 due to the spikeless sole, which generally feels more 'flat' and comfortable. As a result, the cushioned insole feels more comfortable in combination with the relatively flat sole. Due to the different sole and outsole, the midsole is also a little bit different compared to the 5GEN midsole found on the Go Golf Pro 2. The Resalyte midsole does not provide as much response and shock-absorbing quality, which is actually a good thing for flat, rubber studded sole. It is even lighter than the 5GEN midsole, providing even more comfort for the Go Golf Drive 2. Being a spikeless golf shoe, the Go Golf Drive 2 used a rubber studded sole to provide traction. On firmer grounds, the Go Golf Drive 2 is even more stable and comfortable to wear compared to Go Golf Pro 2. On thick grass and mud grounds, it doesn't do as well but it is still pretty decent. Here are what we liked and disliked from the Go Golf Drive 2. Comparing the Go Golf Drive 2 with the Go Golf Pro 2 is a classic spikeless vs spiked debate, especially because they both incorporate similar technologies. The Go Golf Drive 2 is better on firmer surfaces and has more ventilation for the hot summer situations. However, on thick grasses and wet conditions, the Go Golf Pro 2 is a better pick, especially since the Go Golf Drive 2 is not fully waterproof. If you are looking to buy two different pairs for different situations, buying both the Go Golf Drive 2 and Go Golf Pro 2 is a decent choice. Also worth noting, the Skechers Go Golf Drive 2 is slightly cheaper than the Pro counterpart. Adidas, of course, is another big name in the footwear industry, especially for sports shoes. The Tech Response line has been their most successful products for golf shoes, and here we will discuss the 4th iteration of the Tech Response. If you are familiar with the previous versions of the Tech Response, you will notice the core concept is the same with the 4.0 : excellent comfort and breathability while giving stable traction. The Tech Response 4.0 is a spiked golf shoe with six plastic spikes on each pair. The spikes are actually quite subtle, while the outsole utilized a spikeless, rubber design. So, the Tech Response 4.0 aims to give you decent traction without sacrificing comfort on firmer grounds. So, let us dig deeper into the key features of the Adidas Tech Response 4.0. Adidas is known for bringing unique, high-tech approaches to their products, and it is no difference with the Tech Response 4.0. The upper part of the shoe is made with a fusion of Microfiber and textile material, dubbed the Climastorm. As a result, the Tech Response 4.0 has a superior breathability compared to its competitors. The Climastorm material is also very light yet durable, giving you an excellent combination of comfort, durability, and breathability. The Tech Response 4.0 used a bounce-foam technology on the midsole to provide shock absorbance, cushioning, and ultimately, comfort. The toe box of the Tech Response 4.0 is relatively bigger and rounder compared to its predecessors, and even to most golf shoes available in the market. The forefoot area is also overall wider, giving the much-needed comfort for both walking and swing movements. The first thing we should mention about the Adidas Tech Response 4.0 is that it is relatively more affordable compared to other options on this list. Here are what we liked and disliked about the product. For on-budget players, the Adidas Tech Response 4.0 is an excellent choice for almost any situations. It is equally as good on firm grounds and thick grass, and although it is not waterproofed, the spikes itself can give enough traction on wet grounds. It is one of the most comfortable pairs of golf shoes out there, and the breathability is very decent. Considering its price, we can argue that the Adidas Tech Response 4.0 offers the best overall value. Ah, another one by Skechers, showing how they have advanced as one of, if not the leader in Golf footwear industry albeit being relatively new to the game. So, we have discussed how the spikeless Go Golf Drive 2 is excellent for hot summer and firmer grounds, while the spiked Go Golf Pro 2 is better for thick greens and wet conditions. Thus, where will the Go Golf Elite 2 stand? First things first, the Go Golf Elite 2 is priced between the Pro 2 and Drive 2. So, as you might have guessed, it offers some hybrid features between the two. It looks very similar to the Go Golf Pro 2, instead of the casual look of the Drive 2, yet it is actually spikeless like the Go Golf Drive 2. The spikeless sole, however, used a different design and technology than the Drive 2. So, let us discuss the key features of the Skechers Go Golf Elite 2. The H2GO waterproof lining on the Go Golf Elite 2 is similar to the Pro 2 version. It is fully waterproof even for the worst wet and rainy situations. It is very rare for a spikeless golf shoe to have such amount of waterproofing, so it is definitely the highlight of the Go Golf elite 2. The insole is similar to the Go Golf Pro 2, instead of going with the Resalyte insole of the Drive 2 version. We have mentioned that the 5GEN insole is one of the most comfortable compared to the competitors, so you can expect an excellent insole comfort from the Go Golf Elite 2. The spikeless sole of the Go Golf Elite 2 uses different design than the Drive 2. The sole uses molded Thermoplastic Polyurethane (TPU) plastic as studs instead of rubber and is spread throughout the bottom sole in a seemingly random but calculated pattern. As a result, the Go Golf Elite 2 provides very balanced traction on a wide range of different surfaces. The padded but thin tongue will allow better stability for the lightweight laces, as well as bringing more comfort to your forefoot. A similar U-shaped heel lock design is also found, allowing roomy but firm interior for your swing rotation. The Skechers Go Golf Elite 2 is a hybrid between the Go Golf Drive 2 and Go Golf Pro 2, bringing the best of both worlds. So, how does it actually fare? Here are what we liked and disliked from the product. Although it provides a nice, balanced traction, it doesn't do as well as fully spiked shoes or spikeless shoes on their respective game. Jack of all trades. If you absolutely need to buy only one pair of golf shoes that is decent on any situation, the Skechers Go Golf Pro 2 is an excellent choice. It provides a very nice comfort and traction on any surfaces, totally waterproof, and very breathable. However, it won't grip just as well as spiked shoes on tall greens or wet muds. On the other hand, it also doesn't grip as well as rubber-studded spikeless shoes on firm grounds. New Balance might not be a prominent player in golf footwear just yet, but we all know their reputation of being a manufacturer for high-quality footwears for just about any sports on the planet. They do have a few of successful golf shoes in the past, including the NBG2003 back in 2015, which is very decent. If they have an ambassador or two in the PGA Tour, it won’t be a surprise to see more success from them in golf. The NBG2004 is a direct successor of the NBG2003, and is a pair of spiked golf shoes with 7 molded plastic spikes on the sole. The first thing you might notice is the design, which is more modern and sporty as with most New Balance shoes on the market, compared to the classic sophisticated look on most golf shoes. It is a matter of preference, but you surely can look different on the course with the NBG2004. Product pictures are courtesy of New Balance. Here are the key features of the New Balance Golf NBG2004. Midsole cushioning is an important trend on golf shoes. With the New Balance NBG2004, the REVlite technology gave an innovative foam compound for responsiveness, lightweight, and underfoot cushioning. This is a similar approach with the Skechers' golf shoes and Adidas Tech Response 4.0, and it does the job really well. The outsole of the New Balance NBG2004 features a Thermoplastic Polyurethane (TPU) material, which is quite comfortable. Seven spikes are placed with precise calculation, two in the back of the foot and five in the forefoot section. They are surprisingly stable and feels natural in almost any surfaces. The NBG2004 is fully waterproof and comes with a 2-year waterproof guarantee. As a result, it is a decent choice for rainy weathers and wet grounds, especially combined with the decent traction of its spikes. The first thing you will notice from the New Balance Golf NBG2004 is the modern athletic design, which is quite different from most golf shoes on the market. So, if you want a unique, sporty look, it might be a decent choice. Nevertheless, here are what we liked and disliked from the product. The New Balance Men NBG2004 is, in many ways, quite similar to the Skechers Go Golf Pro 2 and Adidas Tech Response 4.0, especially for being a spiked, waterproof pair of golf shoes. So, comparisons between those three cannot be avoided, and here is the deal: price wise, the New Balance NBG2004 stands in between the other two, and has slight issues with breathability. The Adidas Tech Response 4.0, on the other hand, is the most comfortable, yet not fully waterproof. For the best on all fronts, yet with a more expensive price tag, there is the Skechers Go Golf Pro 2. We will choose the absolute best golf shoes out of the five products we have mentioned on this list. Admittedly, this is quite difficult, since all five have different advantages and will best cater to different situations. The spikeless Go Golf Elite 2 offers a great combination of features to perform well on all different surfaces and conditions. Priced between the Go Golf Drive 2 and Go Golf Pro 2, it combines the best qualities of both versions while attempting to eliminate both weaknesses. It is extremely comfortable, give enough traction for your swing, waterproof, and very breathable - this is what makes it one of the best golf shoes we've reviewed. If you only want to buy one pair of golf shoes, the Go Golf Elite 2 is an excellent choice. It also has the advantage of being a great work out shoe, ideal for your next golf workouts. Did you enjoy the list? We sure did! If you have any questions or disagree with the list, please do not hesitate to leave a comment below. Good stability or traction is essential because the shoe will be the foundation of your swing. So, a good pair of golf shoes should be able to anchor to the ground throughout the whole motion of your swing. To achieve this stability, most golf shoes used spikes. However, nowadays there are spikeless golf shoes that do the job just as well. We will discuss the importance of spikes and their common materials further below, as well as spikeless shoes. A round of golf will involve a lot of walkin﻿g. Well, even when you ride the cart all the time, you will need to walk at some point. As with any shoes, the most important factor for walking comfort is proper sizing. Weight and the hardness of the material will also play their part, as well as breathability. Not enough ventilation will cause dampness while wearing, which can be uncomfortable during a long game. The movement you make during a swing is different compared to walking. Your feet and ankle will rotate in a quite fast manner and rub the inner part of the shoe. Thus, the inner part of the shoe, especially around the ankle area should be soft and flexible enough to withstand heavy friction. When this factor is not considered, at best you will feel uncomfortable during swings. At worst, it can cause minor calluses and injuries. Waterproofing is another important factor for golf shoes, considering the game is played in an open area with various weather conditions, as well as the issues of mud and dirt. Waterproofed materials usually have issues with breathability, so a balance between both factors, as well as the right fit for the course climate should all be considered. The best golf shoes must be at the very least water-resistant. Style, of course, is a matter of preference. The men's golf shoes we are reviewing in this guide were originally picked for their style and their ability to be matched with most people's clothing. This being said, there is a wide variety of style offered by various golf shoe manufacturers. For those who prefers classic, sophisticated look, there are options for that. For those who prefers the sporty or modern look, there are also plenty of choices - particularly with men's golf shoes. Yet, style should be balanced with the functionality of the golf shoes. Different manufacturers have different technological approaches in their shoes. Some will have special material to provide both waterproofing and breathability. The most common ​technological advancements found on golf shoes are regarding the sole. Whether you opt for spiked or spikeless shoes, there are various technologies used to improve the traction to ensure stability. There are also multiple technological advancements for waterproof lining, as well as ventilation to improve breathability. Nevertheless, you should make sure your golf shoes use proprietary technology to improve the resistance of the sole. Most of the time, this will turn out to be extremely beneficial during the game. It's safe to say the best golf shoes should use the latest technology. Finding a pair of golf shoes with the proper fit is important to ensure comfort. To ensure a right fit, trying before buying, if possible, is a good consideration. Length and width, represented by shoe numbers should be common knowledge. For golf shoes, there are additionally some more considerations you should have to ensure a proper fit. The ankle entry, toe box, and midsection sizes should all be considered to ensure comfort during swing rotation, as well as the size of the heel cup to allow enough space for swing rotation. In 2019, the best golf shoes should at least be comfortable to wear on and off the golf course, use the latest sole technology, and have great stability to maximize swings. There are a lot of golf shoes, especially newer ones that offer spikeless sole. They have been quite successful, so now we have more options in choosing the sole types. Both men's and women golf shoes are usually available in spikeless and spiked shoes. The spikeless sole is more low-profile and generally lighter (no added weight from the spikes). As a result, they are generally more comfortable. Spikeless soles usually use rubber studs or dimpled sole, so they can provide enough traction on firm surfaces (driving range, 19th hole, etc). They provide less grip and stability on rough surfaces and tall grass. The classic, spiked sole design offers the best traction on any surfaces. They usually provide more waterproofing, because the sole won't need to be molded. While we discuss spike soles, we will discuss below several popular spike materials and their advantages. Plastic spikes are arguably the most popular type of golf shoes and are generally a safe choice. Plastic is lighter than other spike materials and is more 'friendly' to the green. Meaning, it's less likely to tear up the grasses than wearing metal spikes. Plastic spikes are also generally spread in a wider size, so the weight distribution is better. In the past, the major downside for plastic spikes is that they provide less traction compared to metal spikes. However, the technology of plastic spikes has advanced so that in some products, the traction is even better than metal spikes. If you are looking for comfortable golf shoes with decent traction, plastic spikes are generally a safe choice. Metal spikes are less common nowadays since plastic can provide similar or better traction with less weight. Metal spikes also often guilty of tearing up fairways and greens. Under the rules of golf, players cannot interfere with spike marks on greens, and that might hinder your address. Although the traction is generally very good, metal spikes can be heavy and uncomfortable to wear. Also, many golf courses also ban metal spikes, so you might want to think twice before purchasing one. The best golf shoes 2019 have plastic spikes over metal ones. Spikeless shoes are quite popular nowadays. They are generally lighter, more comfortable to wear, and can provide very decent traction. Many professionals and Tour players nowadays are also wearing spikeless shoes, some prefer them for the look, or the added comfort that can help with foot or back pain. While they are generally more comfortable, spikeless shoes often have problems with waterproofing and traction. While they are decent in the firm and flat surfaces, they might have issues with wet surfaces or tall greens. Many high-end spikeless shoes are quite good with traction though, as well as providing some form of waterproofing. Spikeless shoes will also be an excellent choice for driving range due to the mostly flat surfaces. So, purchasing a pair of spikeless golf shoes is viable, especially for the driving range. 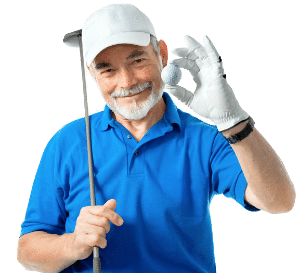 However, if you want to wear it on course, you just have to make sure that it is well-built and have decent quality regarding traction and waterproofing. Spikeless and spiked shoes are both viable for the golf course. Prefer spikeless if you like lighter shoes. Opt for spiked shoes if you need great stability and traction. This is true for men's golf shoes and women's golf shoes. To decide which golf shoe is best, this criteria doesn't truly matter. Most high-quality pair of golf shoes are designed with long-distance comfort in mind, so this most likely won't be an issue. We've also picked shoes that are best for walking as well. Long golf games often mean many miles to walk so we've naturally included that criteria in our product choices. The more flexible and soft the material is, the more comfortable the shoes will be for a long-distance walk and prolonged usage. Most high-end golf shoes use genuine leather or synthetic material to achieve lightweight, breathability and overall comfort. Not to forget, there should be some form of a waterproof lining. Although material choices might dictate breathability, that won't always be the case. 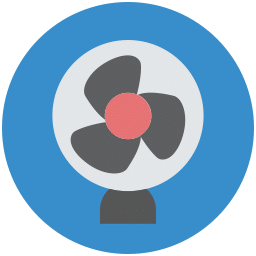 Some manufacturers might opt to add extra technology to improve ventilation. Breathability of the shoes is important for long-distance walking, to prevent your feet from sweating a lot. Material choices for the shoe itself and for the spikes (for spiked shoes) will dictate the weight. Of course, heavy shoes can be tiresome for long-distance walking. Most high-end golf shoes nowadays used plastic spikes or spikeless rubber soles to address this issue. Once all those qualities are in check, you should not have to worry about long distance walking. Remember, you also need to consider in-swing comfort. A good pair of golf shoes will be comfortable both for walking and swinging. Don't worry about feeling your feet hurt when walking long distance on the golf course. Most of the best golf shoes nowadays include extra comfort material that prevent you from feeling pain after walking a few miles. Advancement of shoe technology make this a worry of the past. Shoe laces are the most common fastening system for golf shoes. In our opinion, they are more akin to tradition than necessity. The sophisticated and tidy look of shoelaces are preferred by many, however, regarding purpose, other fastening systems like velcro straps or even zipper (if any) can do the job just as well. 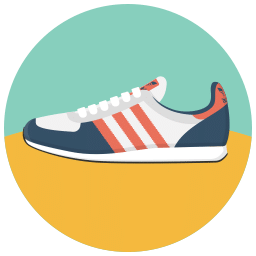 Velcro can indeed give more ease in securing or removal of the shoe, and prevent the biggest issue of laces: when they loosened in the middle of a round. Many manufacturers also modified their lacing system to have both the classic style and modern ease. For example, there are mechanical lacing systems to prevent loosening and improve stability. If you are familiar with ski or ice skating boots, the lacing system used is similar. 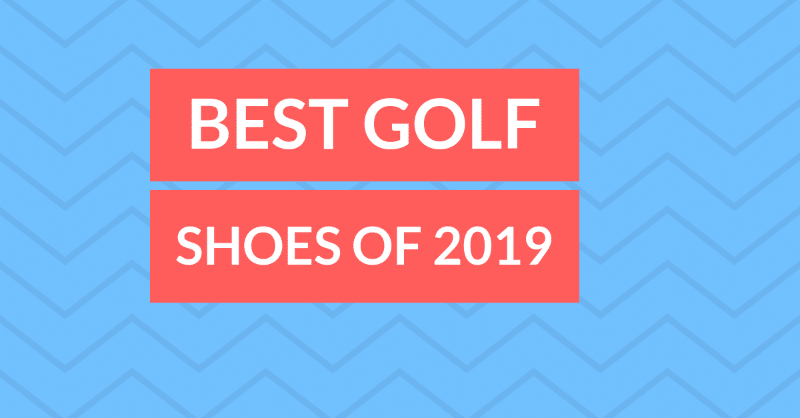 So, to answer the question, the answer is no, shoe laces are not a necessity for the best golf shoes of 2019, but rather has more to do with style. If your budget allows, the answer is yes. Different types of golf shoes can perform better in certain weather conditions, and even in different surfaces. You will then be sure to have the best golf shoes for whatever weather conditions the game will endure. In dry and warm summer conditions, spikeless shoes that are lighter and more breathable will be a more comfortable choice. Since they rarely have good waterproofing technology, they won't perform as well in wet and rainy conditions. On the other hand, spiked shoes will perform better with mud and wet course conditions in rainy seasons, or even with snow. They are not as breathable and generally heavier, so they might not be comfortable in a hot summer. Some high-quality golf shoes, including the ones we will discuss further below, can provide a relatively nice balance to perform in different weather conditions. We would recommend that you purchase the best golf shoes for you first and foremost. 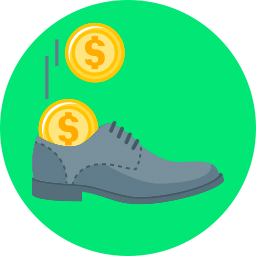 But if your budget does allow several pairs, it is a good choice to own two good pairs of spikeless and spiked shoes for dry and wet conditions, respectively. Golf shoes can begin to deteriorate in a variety of ways. From falling apart due to poor construction or through typical wear and tear from use, it is important to pay attention to the health of your shoes before and after each round. Areas of vulnerability in golf shoes include a breakdown of waterproofing, the sole separating itself from the body, and the wearing down or difficulty replacing old spikes. Let’s start with the waterproofing. It is vital to have golf shoes that can keep feet dry throughout a round. This is especially important if you like to play morning rounds when the dew is at its heaviest on the grass. I think we can all agree that playing a round with wet feet is not only uncomfortable but raises the possibility of blisters that tear the skin. What most golfers don’t know about waterproofing is that it is a feature that doesn’t have a long shelf life. If your shoes are older than two years, then there’s a high probability that the shoes no longer are effective at keeping the water away from your feet. If that criterion fits your shoes, then it is time for a new pair. Another way that golf shoes can let us down is by falling apart, whether it be from negligence, age or shoddy construction. Inspecting your shoes often will make sure you stay on top of any problems that may arise so that your feet can stay fresh over your next 18 holes. Technological advancements have pushed the boundaries for what golf shoes can do during a round of golf. From keeping your feet dry to provide a comfort that is typically associated with high-performance athletic shoes, manufacturers have created golf shoes that are a dream to wear. Here are three different materials that help create top-notch golf shoes. Leather has played a considerable part in the manufacturing of golf shoes throughout the years. Early versions of leather-based golf shoes were very stiff and lacked flexibility. But today, leather golf shoes are soft and supple allowing the golfer to move and use their feet throughout the swing freely. Also with the creation of waterproofing, leather lasts longer and is more durable than in previous years. An alternative to more expensive leather-based shoes is golf shoes made from synthetic materials. A downside to synthetic materials is the fact that they don’t breath as well as leather-based shoes. Another issue with synthetic materials is that despite a cheaper price over leather shoes, the synthetic shoe tends to have a short shelf life, showing wear and tear quicker than more expensive shoes. Golf shoes made with Gore-Tex are guaranteed to be waterproof. If you play in the morning hours, then Gore-Tex lined shoes are crucial to keeping your feet dry and free from blisters. Gore-Tex also keeps feet warm and cozy in the wintertime so you’ll never have to worry about feeling the elements on cold days. Golfers just starting out need a golf shoe that is breathable, soft and durable. The Adidas Tech Response 4.0 is a functional shoe that provides reliable traction with the softness of a training shoe. The Tech Response 4.0 has a breathable shell that keeps your feet dry on those hot days at the course. Extremely affordable and with plenty of bells and whistles, the Adidas Tech Response 4.0 is a great golf shoe for the beginning golfer. Players who are trying to drop their score into the 70s need a golf shoe that is not only comfortable but also high-performing. For mid-level players, a great shoe that meets all of those standards is the Skechers Performance Men's Go Golf Pro 2 Golf Shoe. With incredible comfort and full waterproof protection, the Golf Pro 2 is a beast on the golf course, providing lock-down traction in the worst conditions a golf course can throw at a golfer. Very affordable and with a classic style that will match any outfit, the Sketchers Golf Pro 2 shoes are a terrific option. Advanced golfers need more from their golf shoes than high-handicappers. 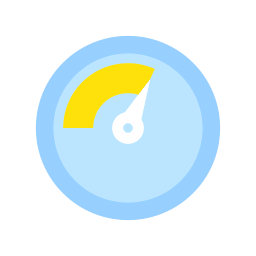 Golfers who typically post low scores also have high swing speeds. Traction from golf shoes is essential to keeping balance throughout these high-speed golf swings. For those reasons, the shoe that best helps advanced golfers is the New Balance Golf NBG2004. With a comfortable interior and excellent gripping ability, the NBG2004 fits the mold for what low-handicappers need from their golf shoe. And an added bonus is the waterproof exterior that will keep your feet dry when you feel like walking a round.